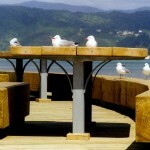 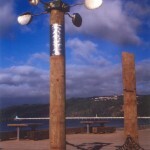 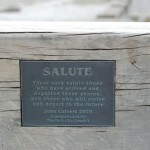 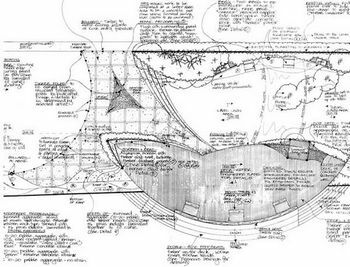 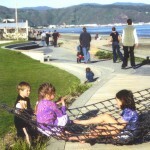 This park is part of an ongoing project with the Hutt City Council for the development of the Petone foreshore. 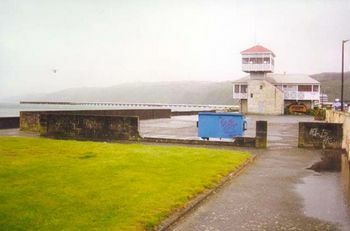 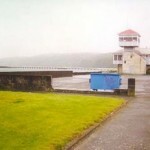 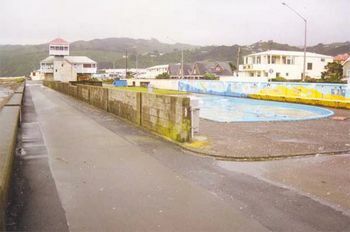 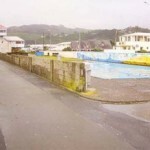 The “Before” images show the site as it was before as an unused, unsightly paddling pool. 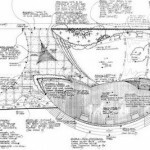 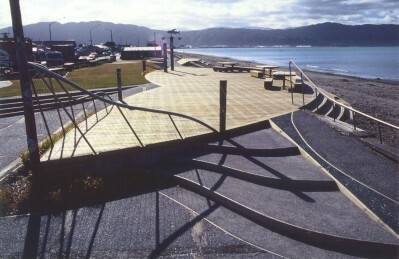 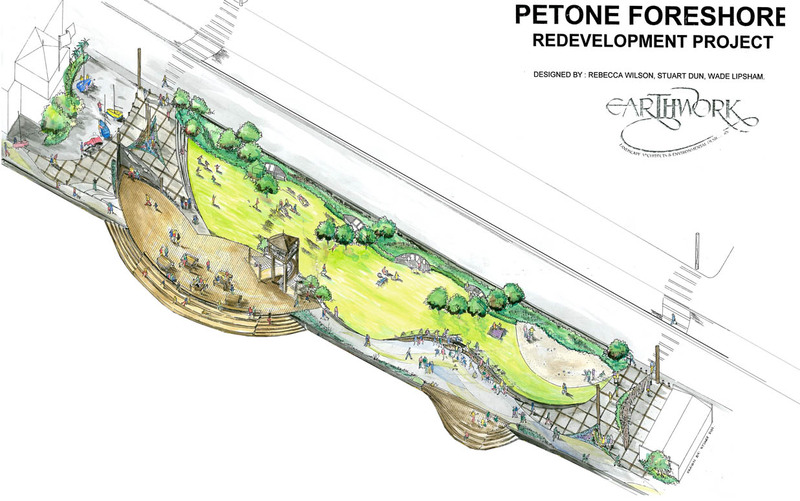 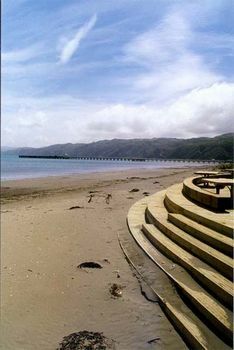 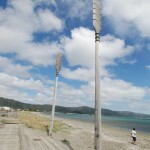 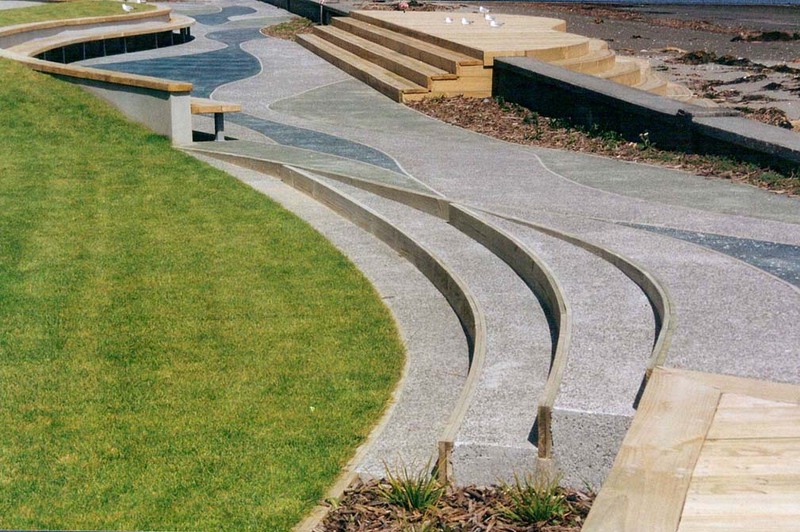 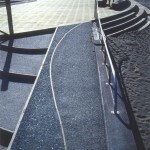 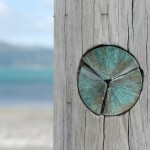 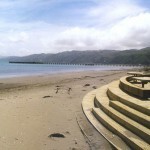 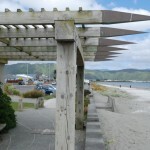 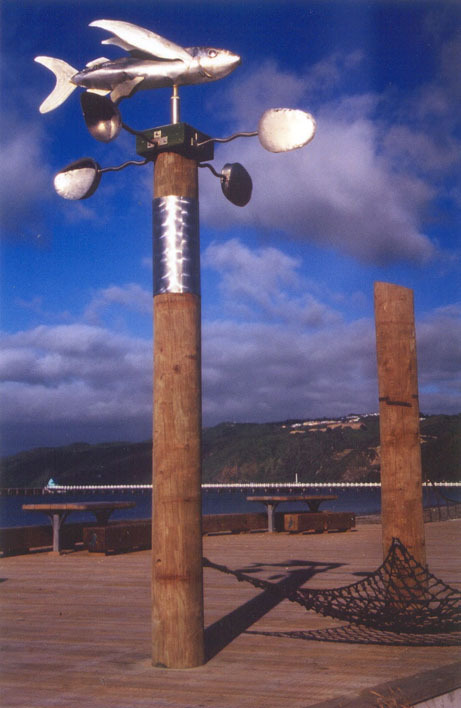 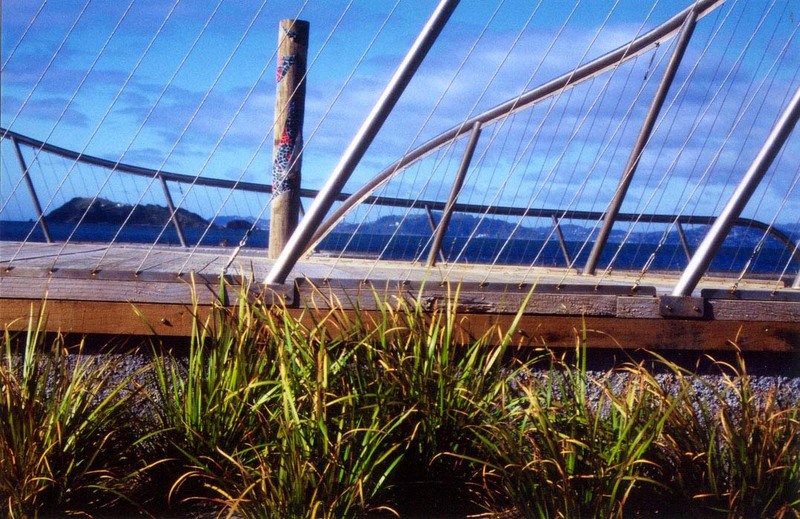 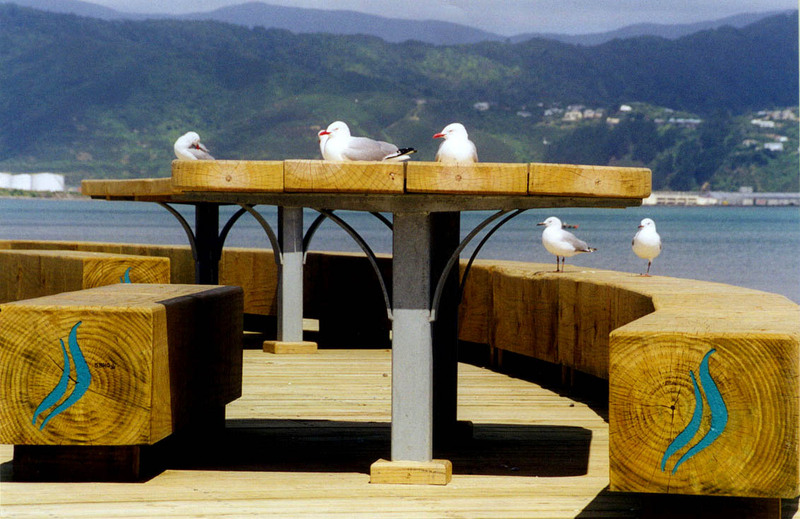 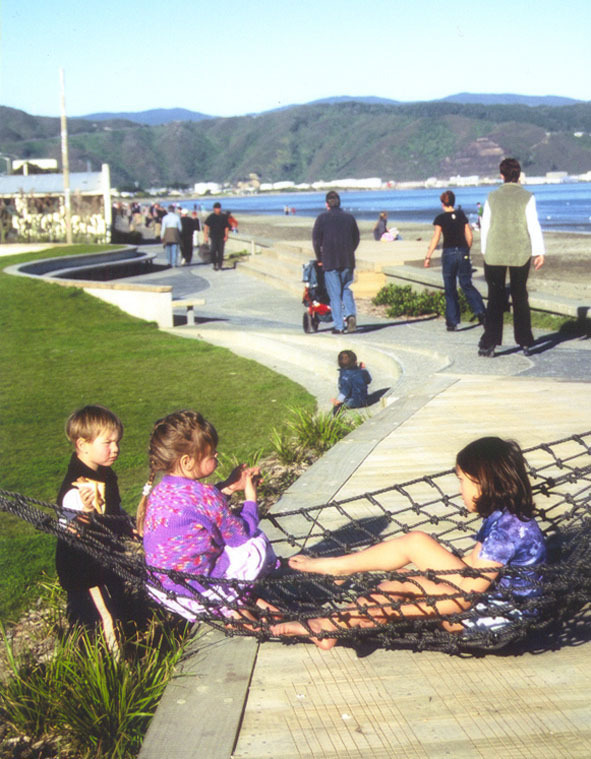 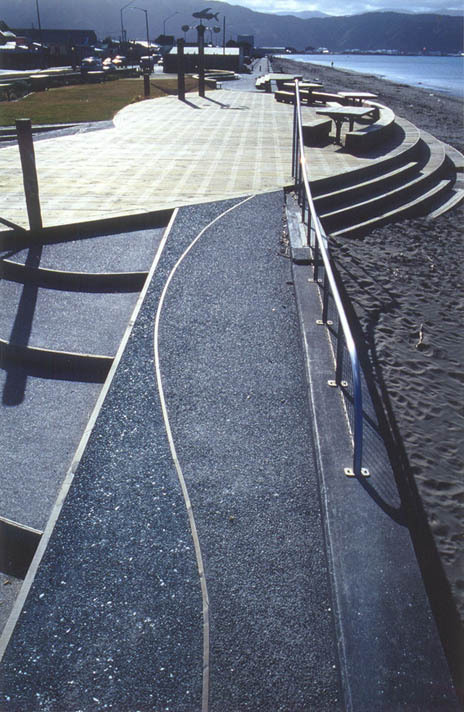 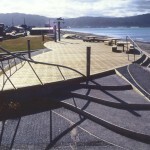 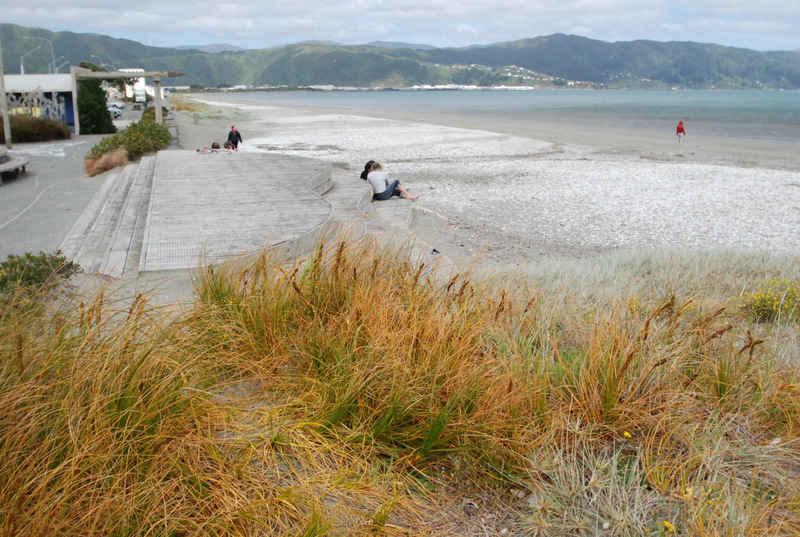 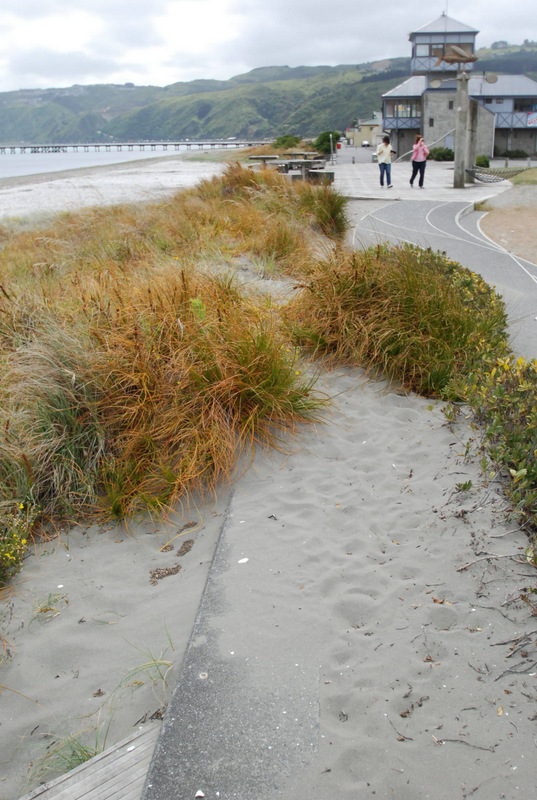 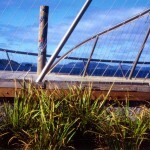 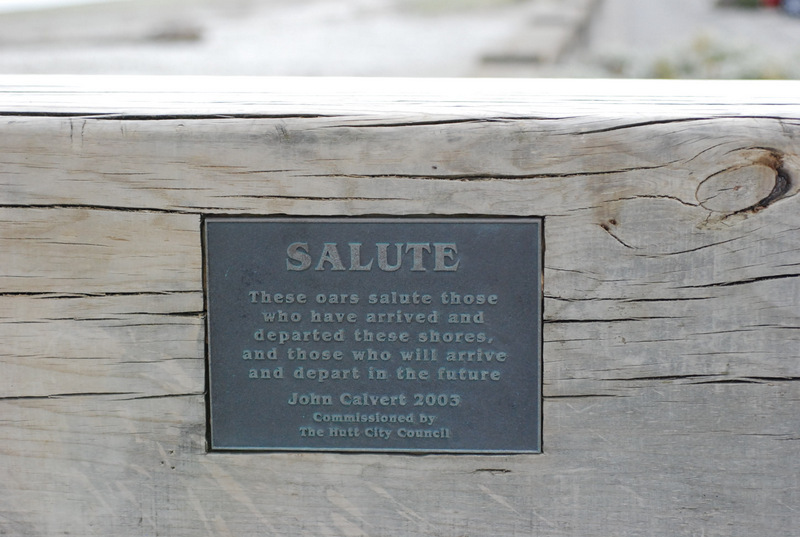 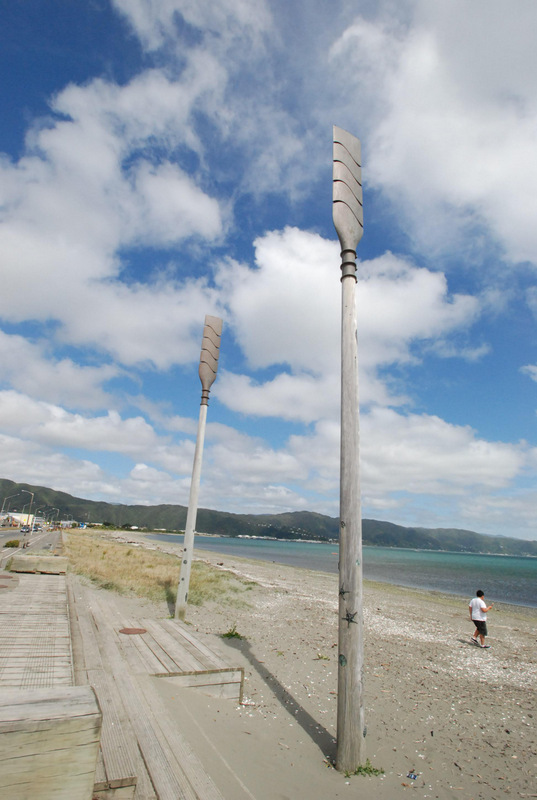 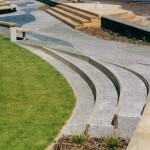 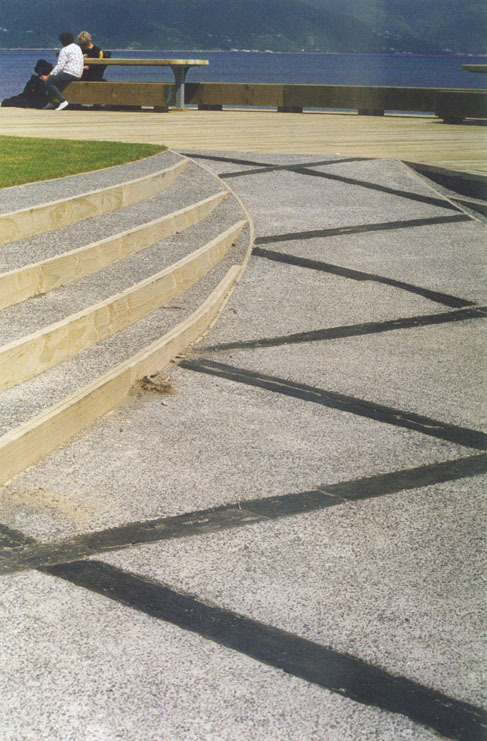 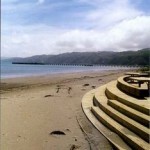 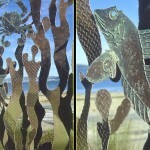 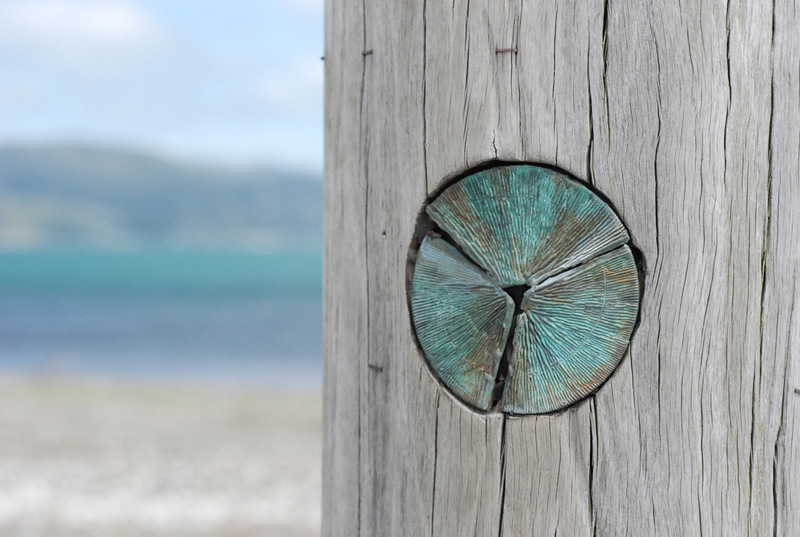 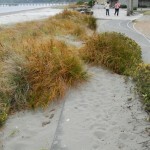 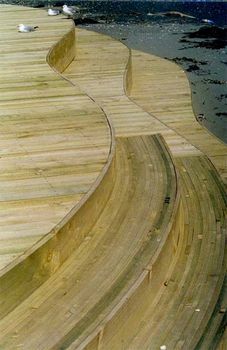 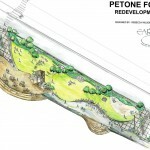 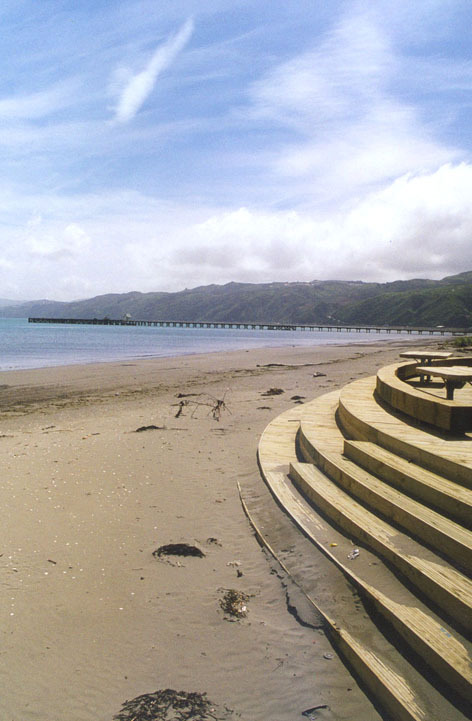 A major thrust of the design was to reconnect people with the Petone waterfront by reducing the dominance of the seawalls, encourage people to enjoy the park environment and then move down to the beach. 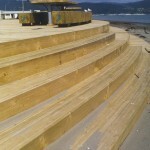 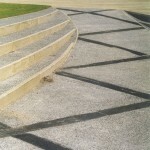 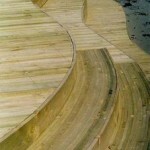 Decks flow up and over the seawall with dramatic curving steps down to the sand. 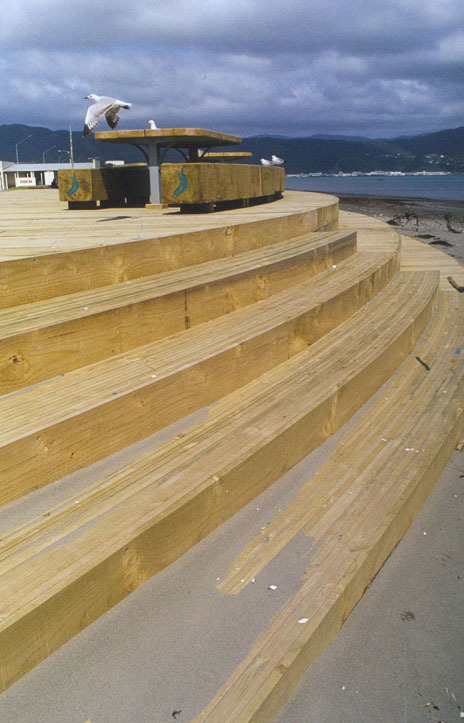 These are designed to be used as informal amphitheatres for casual sitting and to recreate in essence the sand-dunes which once would have lined these shores. 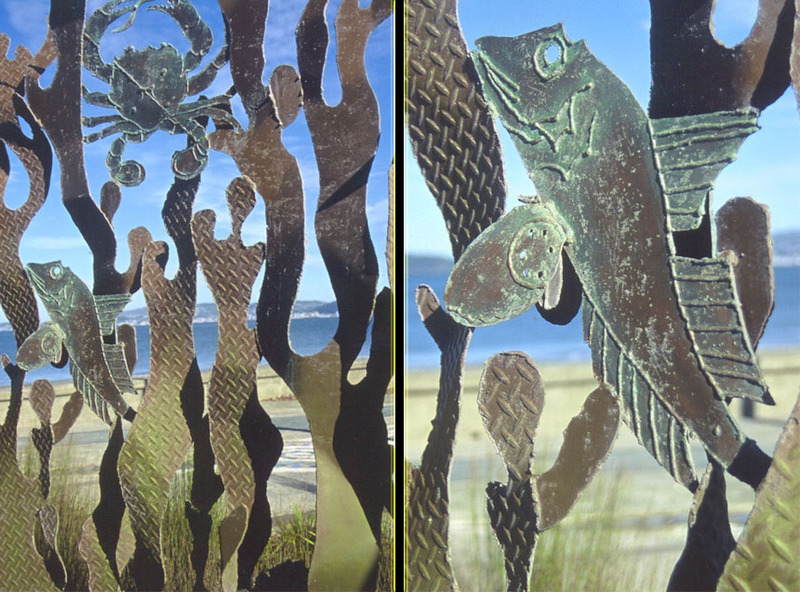 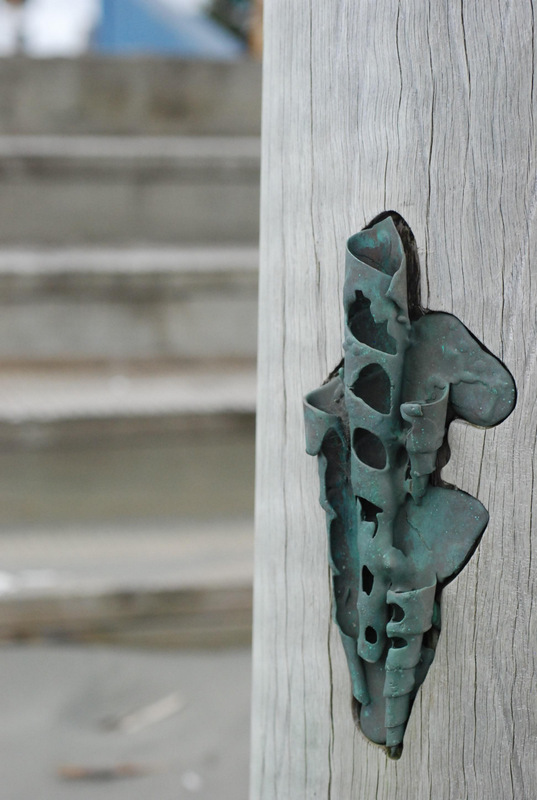 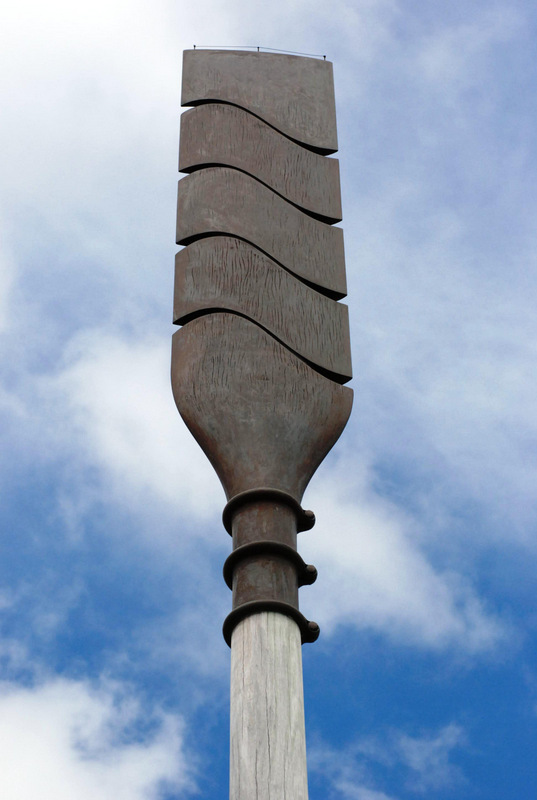 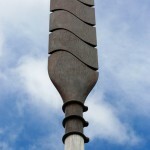 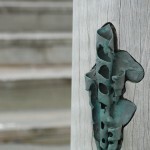 Details such as the dramatic ”Salute”, the Oar sculptures by artist John Calvert and the “seaweed screen” by local artist Phil Worthington around the outdoor showers contribute to the sea theme and create spectacular focal points. 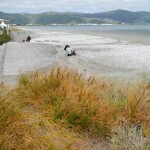 The planting scheme uses entirely native coastal species, with many rare and endangered species which thrive in this extremely harsh environment. 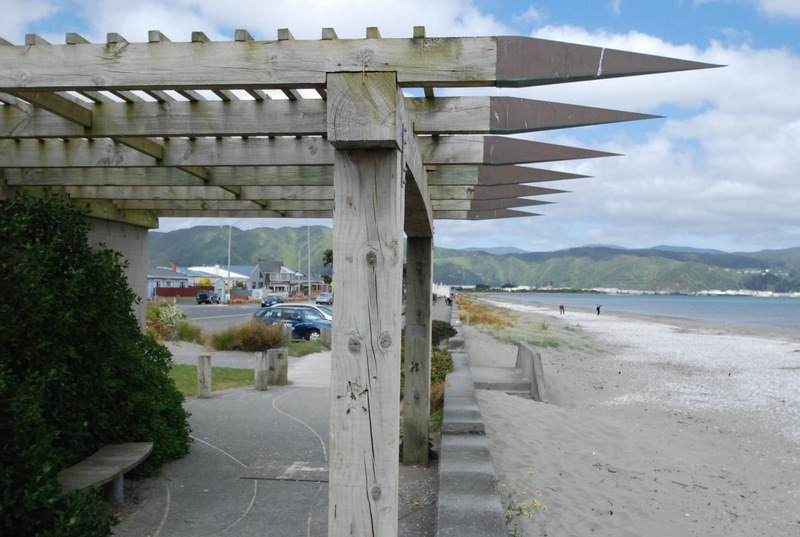 Free push-button gas BBQ’s, picnic tables and even a petanque court are well-used facilities in this revitalised beachfront area.